keep top of mind this winter to help keep pests out. 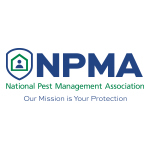 ants,” said Cindy Mannes, vice president of public affairs for NPMA. can create significant damage and moisture problems that pests love. inside the home can lead to leaks, which can also attract termites. their colonies inside homes,” noted Mannes. exterior cracks for easy access inside homes, including mice and rats.